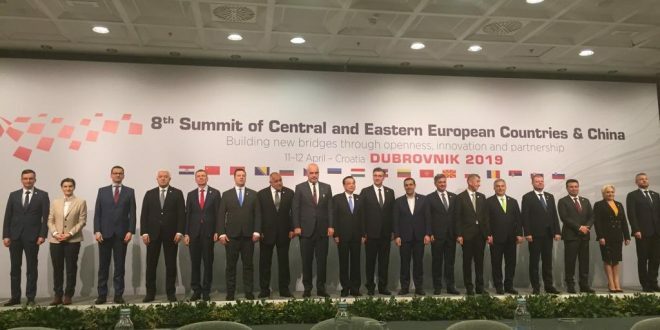 summit of the Cooperation of Central and Eastern European Countries (CEEC) and China, an initiative long known as 16+1, held in Dubrovnik on Friday. “We are gaining lost ground and we are using the economic and trade opportunities our geographic location provides us,” Taipras noted stressing the importance of the Prespes Agreement with North Macedonia formerly known as FYROM. Welcoming Greece as their latest member, the China and Central and Eastern Europe Cooperation (CEEC) will now officially be known as 17+1. Previously, the other 16 member nations made up the Former Soviet Union’s Eastern European region. Today, the countries share a more traditional and historical relationship with China. Although some of the post-Soviet states were late in entering the European Union (EU), others never sought membership. Greece’s entry marks the first Western European country to join the regional cooperation. Having Greece as a member marks significant expansion effort. In the past, among Western European countries, the 16+1 initiative was a sensitive issue. There were concerns that Central and Eastern Europe’s proximity with China could weaken unity or possibly divide the EU, and viewed any cooperation strategy with Beijing as a threat. AFP reported that Greece’s membership to the CEEC has put Western European leaders on alert, and will “cautiously” monitor the ongoing CEEC summit in Dubrovnik, the capital city of Croatia, notes globaltimes. The attitude among Western European powers is complicated yet understandable, but such complexity is within the normal range of state relations. Such sensitivity did not influence relations between Western Europe and China, nor is it a problem worthy of addressing in European relations. Overall, the latest addition does not represent a geopolitical contradiction. Greece’s inclusion in the China-CEEC cooperation mechanism is both a joyful event for the country and a gain to the cooperation. It also benefits the EU. Central and Eastern European countries, including Greece, lag behind Europe. Through their partnership with China, these nations have acquired greater development opportunities.